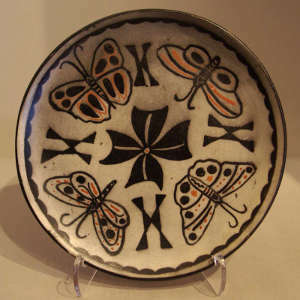 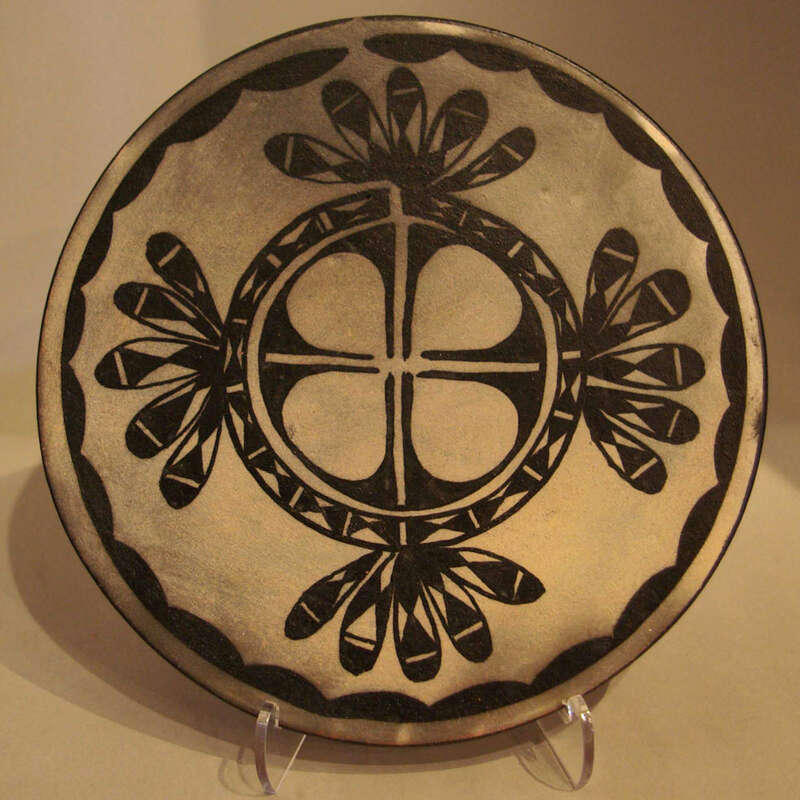 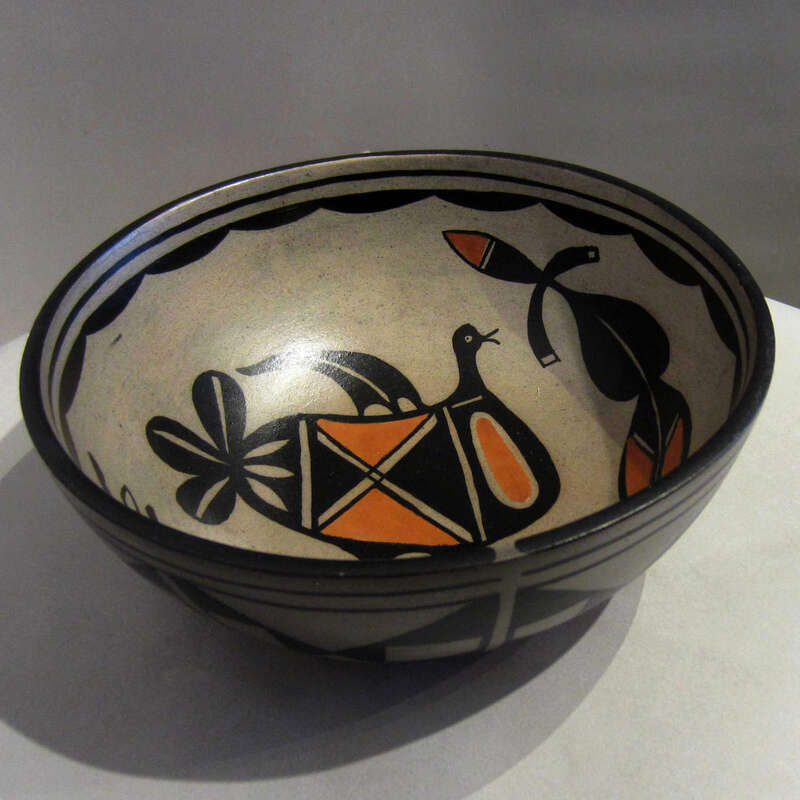 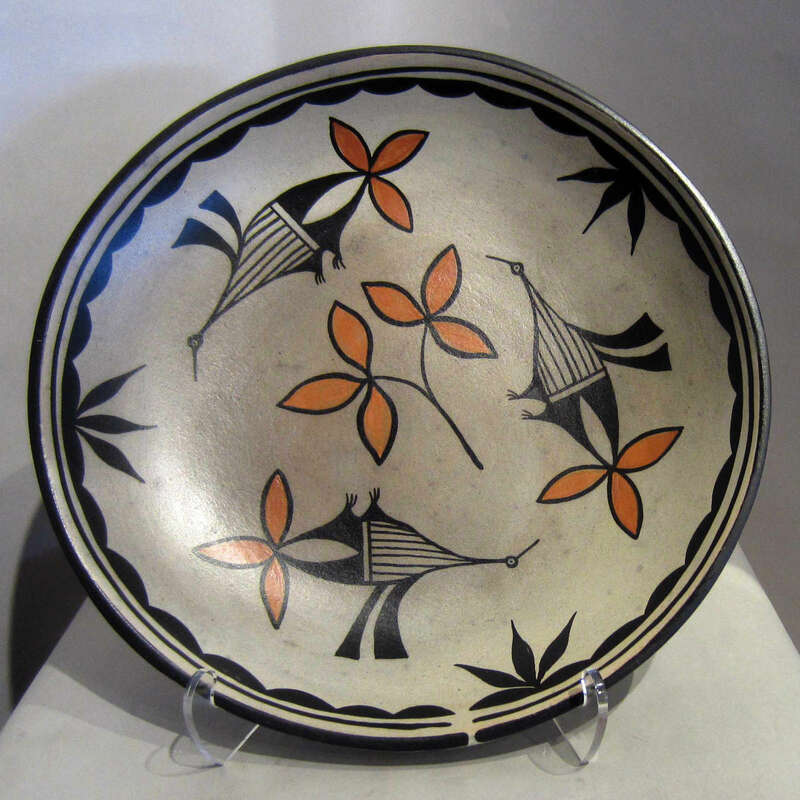 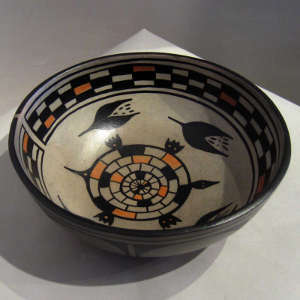 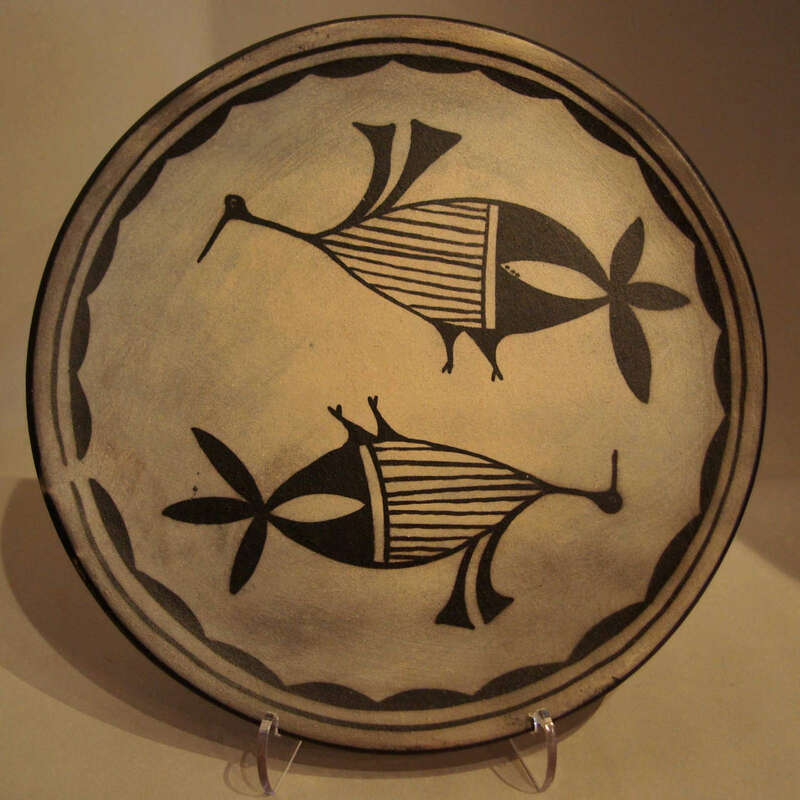 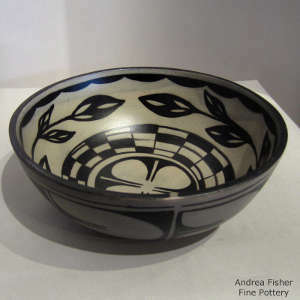 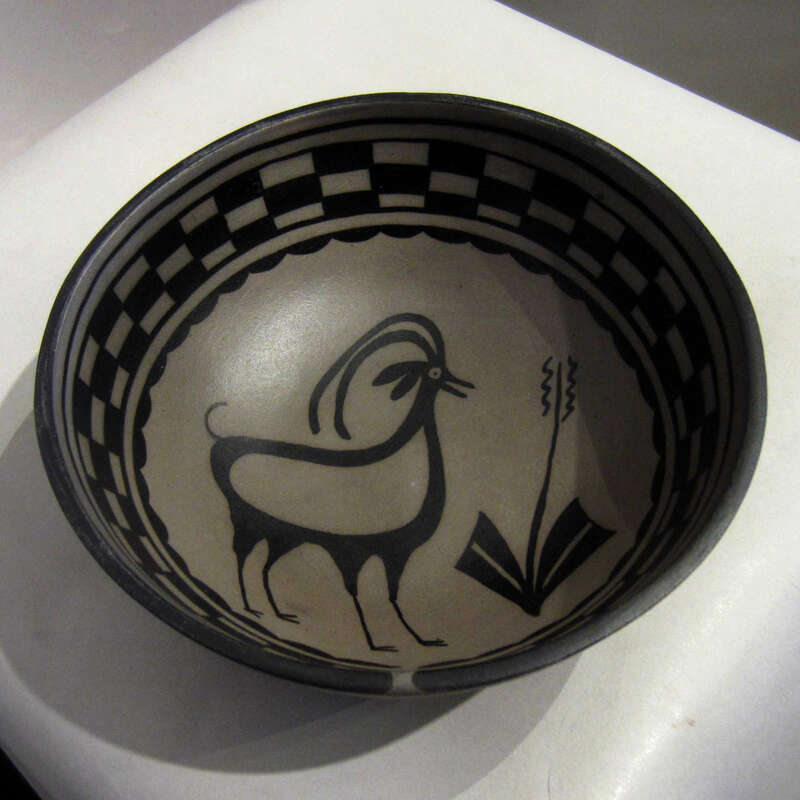 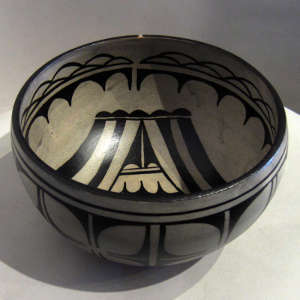 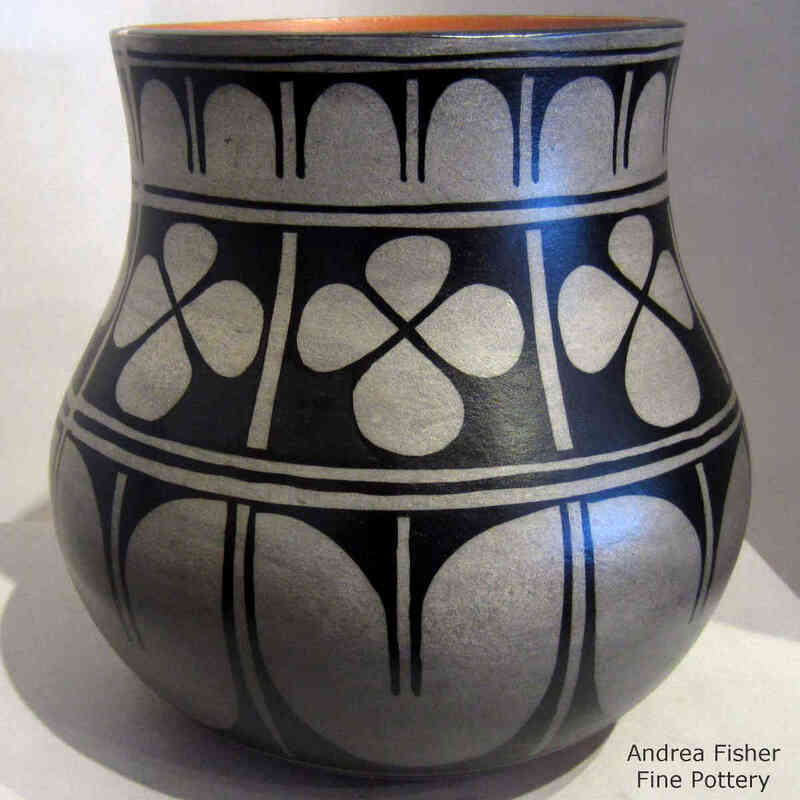 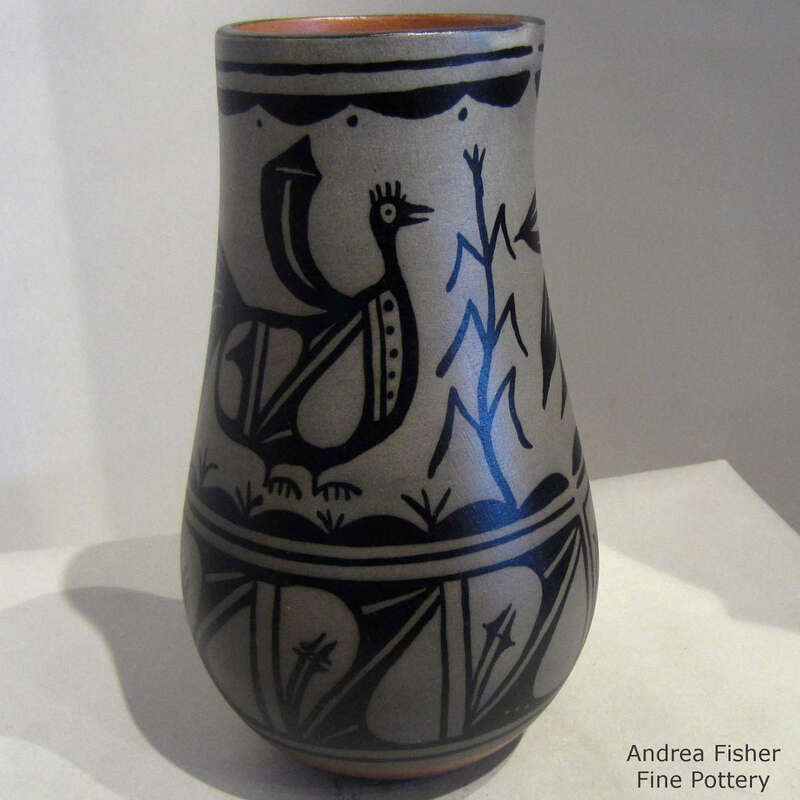 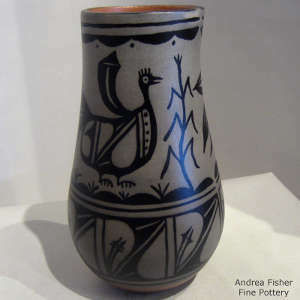 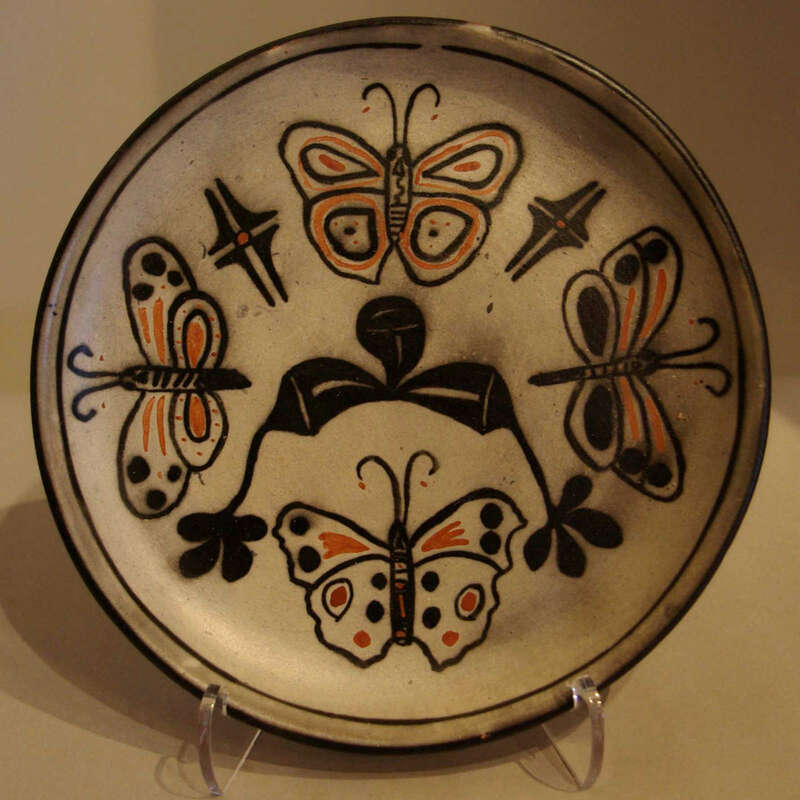 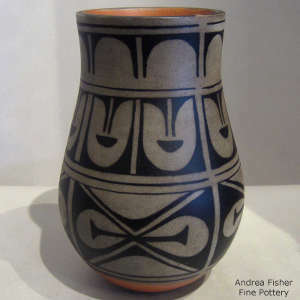 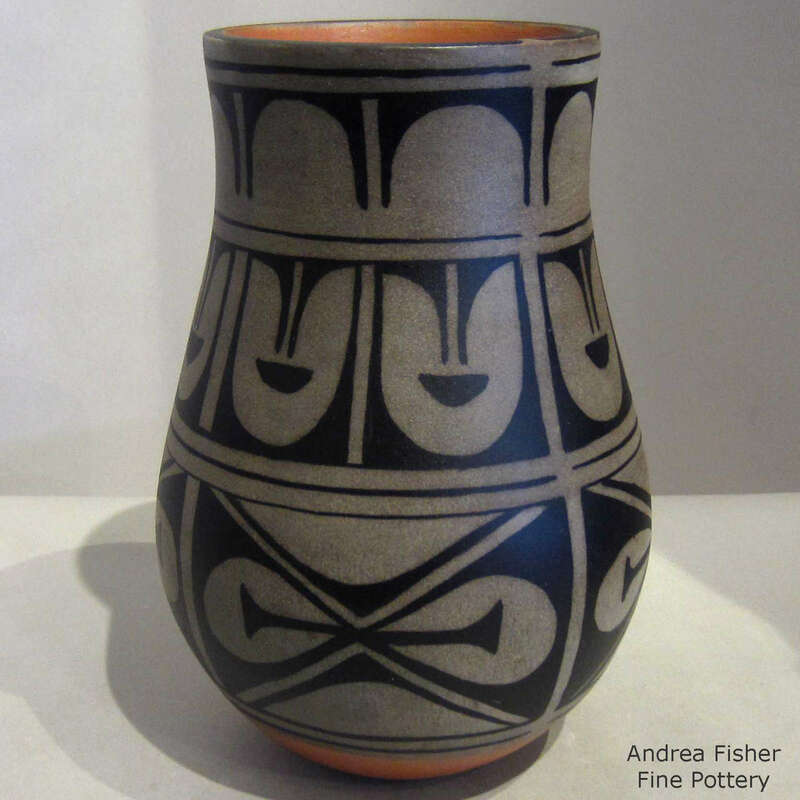 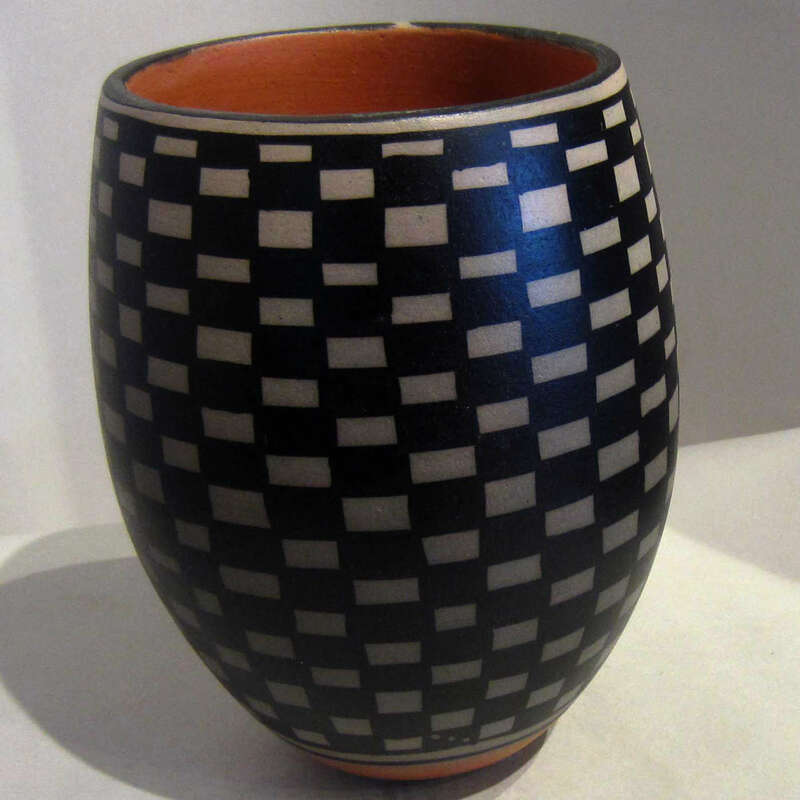 Delmar Tenorio is a traditional potter from Santo Domingo Pueblo. 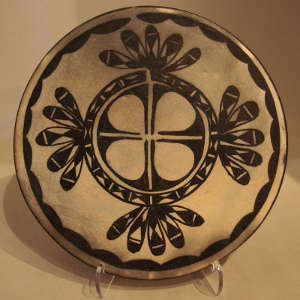 Since he married painter Trini Pena, he collaborates with her often. However, Delmar also works as a firefighter for the US Forest Service and he spends a significant part of every year away from home (and not producing pottery).